UPDATE: Hersl has been sentenced to 18 years in prison. 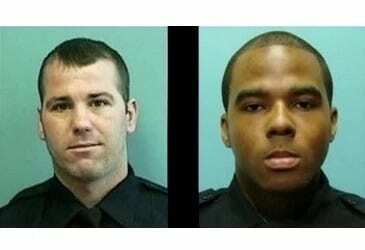 Jurors on Monday evening found former Baltimore Police Department detectives Daniel Hersl and Marcus Taylor guilty on on racketeering charges in connection with the BPD’s Gun Trace Task Force. The jury got the case on Thursday and deliberated for a day and a half before returning today’s decision. Federal prosecutors alleged that Hersl, from Joppa, and Taylor, from Glen Burnie, robbed individuals, dealt drugs, and tried to cover it up. The 6-count indictment alleged that Hersl and Taylor engaged in 13 robberies, extortion, and time & attendance fraud. According to the indictment, beginning in 2011, the defendants stole money, property, and narcotics by detaining victims, entering residences, conducting traffic stops, and swearing out false search warrant affidavits. Hersl and Taylor had both pleaded not guilty in the case. Six other former officers have entered guilty pleas, and four testified for the prosecution. Jurors heard close to three weeks’ worth of testimony in connection with the case. Both defendants could now face 20 years or more in prison.